"A 4½ Month Workshops, Live Projects and Lab Based Learning Experience"
Healthy and hip defines tea today. A culture around cups of it and conversation to-go with has always been there but in a major revival of the café culture, there now are tea-lounges which are intimate spaces educating the cosmopolitan crowd about tea, its varieties, rarities, beauties while selling it interestingly packaged along with a whole host of activities – tea-tasting tours and trails, samplings, appreciation workshops etc. – bringing together a community oftea-lovers around this drink which has always been not just a cupful but a motif of life and bonhomie. Here we choose some of the best tea-lounges that Delhi, Mumbai and Bangalore have to offer to the tea-connoisseurs. Black, green, white, oolong and tisanes are not shades graduating from basic to exotic, rather these are varieties of tea. 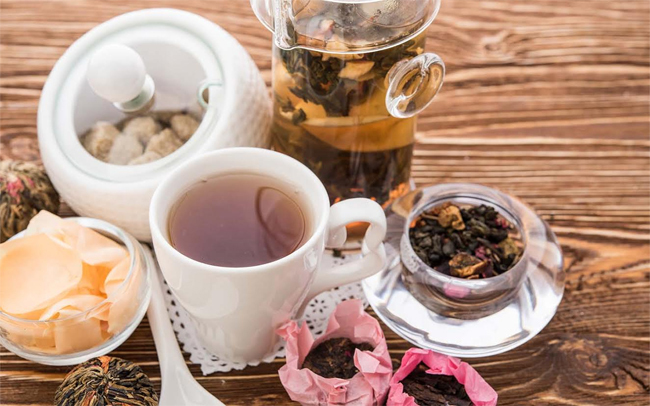 As tea becomes posh again, there is a cultural shift brewing as the country’s staple beverage undergoes a paradigm shift in terms of premier products, packaging, presentation coming together to make tea the ‘it’ drink. Elaborating on this very trend, tea sommelier Anamika Singh made a point saying, “People are becoming more tea-educated. The Delhi crowd is growing experimental and loves to try tea with more flavours.” And it is not a Delhi-only phenomenon as tea bars are opening up in other major metros – Mumbai, Bangalore, and Kolkata – adding to the existing lot of specialist tea retailers and cafés and upscale high-tea establishments. Talking of tea in India, there has to be a stopover at Dolly’s Tea Shop in Dhakuria, Kolkata. Dolly Roy is India’s first woman tea taster and the first woman tea auctioneer in the world – not a mean feat at all. To spread her enthusiasm for teas, she set up this small and cosy tea-room with a loyal following which offers twenty different fruit-flavoured teas and refreshing fruit infused iced teas. 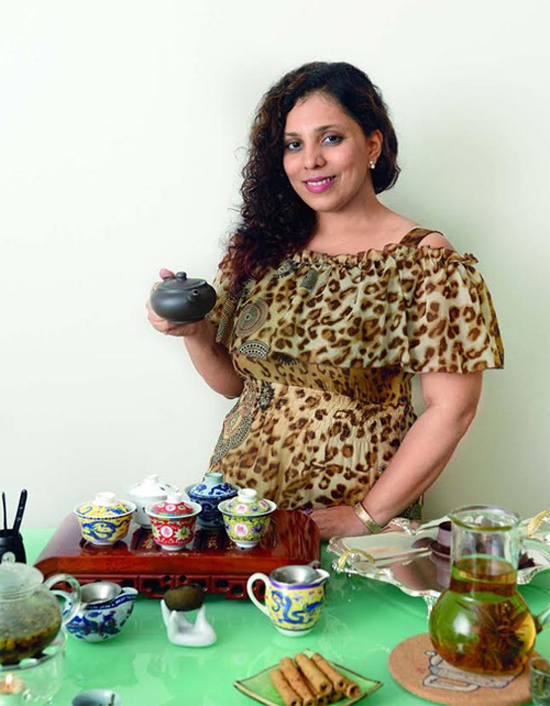 Carrying the baton forward from such established tea-tasters, there are young aficionados who have turned their passion into their trade, like RadhikaBatra, a well-known tea sommelier, who also owns a tea boutique in Mumbai called Radhika’sFine Teas and Whatnots. Her boutique is a concept tea-bar which hosts tea tastings, organises tea walks in the city and sources tea varieties from plantations all over the world. She regularly keeps up with the latest from the plantation owners and believes that developing a discriminating palate for tea is learnt over a lifetime of trying out new flavours and varieties. With the young and old, the classic and the fancy in full view ahead of us, we have gone on to scouring for the best to put on our list of favourite tea bars in India, where you can relax over a flavourful cup breathing in and tasting the handcrafted brews and aromatic infusions. A mention of the tea-scene in Delhi will start with the TheAapkiPasand Tea Gallery in Old Delhi. And the name high on the list of tea connoisseurs in Delhi is Sancha, the brand behind the tea gallery and boutiques in Delhi and Mumbai. The original one in line is this colonial-style 1,200, square foot store located in Old Delhi where soothing music accompanies the aroma of freshly brewed tea brought in from estates in Darjeeling, Assam, Kangra and Nilgiri. 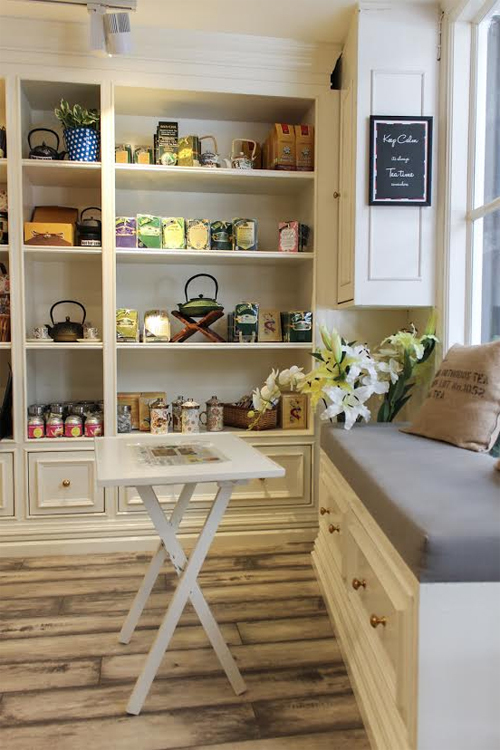 There is also another Sancha boutique in Santushti, Chanakyapuri, which not only stocks an enviable variety of teas but has a cosy, quiet ambience surrounded with beautifully packaged tea sachets and tins to enhance the tea-tasting experience. While Sancha is a pioneering presence in the story of tea-tasting and shopping boutiques, there are also some cafés putting out a commendable variety. One name to be mentioned here is that of the Tea Room Co., in DLF Star Mall, Gurgaon where blends of herbs, fruits, scents and teas come together in steaming cups. Commenting on the current tea culture, Mridu Gupta [MD of The Team Room Co.] succinctly puts it as “the need of the time that translated into a concept.” With interiors being a mix of charming old-world ambience and quirky new-age accents like the tea-cups suspended from the ceiling, The Tea Room offers a quaint space for a typical snack time, any time of the day. The regular green, black and white teas are there but there are also some delectable fruit blends, herbal infusions, scented brews which can be paired well withdesi fare or some from their fusion menu. 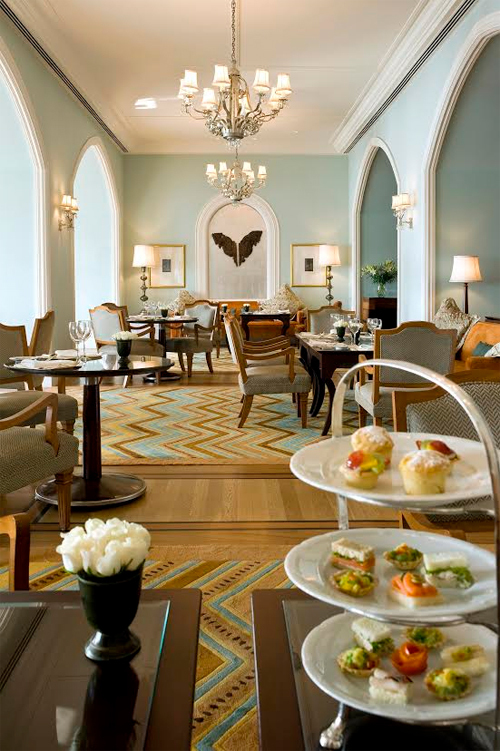 Bringing in the more traditional high-tea experience is the The Tea Lounge at the Taj Palace Hotel in Delhi. The menu features,among other designer teas, Nilgiri’sRajamallay, Makaibari Gold Leaf, organic tea brewed to Ayurvedic specifications, teas from Sikkim’s sole tea estate, green teas from Japan and Vietnam, smoky Chinese black teas, and grassy Egyptian Chamomile. With such an exotic, enviable collection, this sure sounds like a tea-drinker’s haven. The Viennese décor overlooking the pool and green lawns adds to the charm of it all as does the menu with tasty savouries like chicken calzone, chicken feuillette, salmon sandwiches, scones and herb pies. The quiet, luxurious ambience here works to heighten the sense of calm that accompanies the sipping from a tea-cup with wafting aromatic steam – a pleasure for the senses. Before we move on to our haunts in Mumbai and Bnagalore, we must not forget to add a few more names from our Delhi roster for the tea-taster. So, there is the Cha Bar at the Oxford Bookstore, in Connaught Place, where you can read while you drink. A nifty tuck-in place in the centrally located bookstore, the Cha Bar boasts of some 80 types of tea and blends including hand-picked varieties from Darjeeling, Nilgiri, Sikkim, accompanying a range of international teas. There is also the tea lounge at The Eros Hotel which offers a blue-speckled space for chai and conversation with their Indian high-tea spread featuring teas from Assam and Darjeeling’s estates to herbal infusions and the sweet and strong masala chai to go with fried fritters and confections. 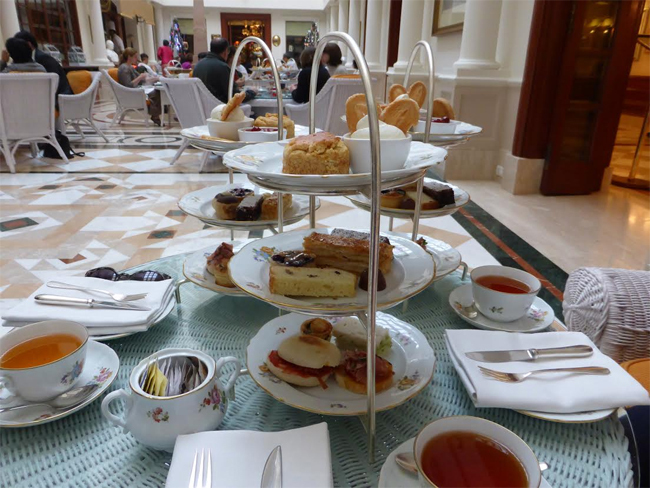 Another place for a very-English high-tea experience would be The Atrium at The Imperial which channels in nostalgia with its silver tea service and fine bone china to compliment and hold the delicate brews. Tea Trails in Mumbaiis another city-haunt for the tea-lovers. India’s first chain of tea cafes, the first Tea Trails cafe was launched in suburban Mumbai in 2013 after the owners spent more than 2 years in R&D to handpick products suitable for the Indian palate. Curating a wide range of teas – from classic black, green, white, black, oolong, to speciality mixes, herbal tisanes, coolers and Indian chais – in an attractive, peaceful ambience with an informed and helpful staff , Tea Trails has made a name for itself serving gourmet teas from around the world paired with great food. Some signatures varieties from their menu would be the herbal infusions called Red Zen – a bright red coloured brew which is a sweet and tart blend of hibiscus, orange peel, lemon grass, lavender, cloves, licorice root and stevia. The speciality teas worth checking out are the LapsangSouchong [a black tea from China, this was the favourite of Winston Churchill], Darjeeling First Flush, the Argentinian Mate [packed with antioxidants, this infusion is a source of vitamins and minerals], and the Red tea from South Africa which is a distinctive red liquor with a sweet and nutty taste. For those who like it cold, there is the Bubble tea in fruity flavours of mango and lychee which is like an explosion of freshness in the mouth. 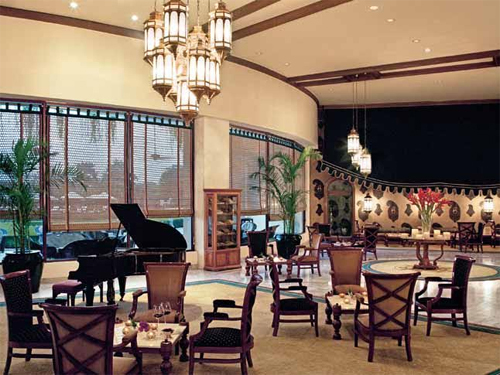 For the luxuriously inclined there is The Sea Lounge at Taj Palace, Mumbai, which although not really a tea shop, is known for its English high-tea which has been on service at this hotel since the 1980s. With an old world charm and art deco furniture, complete with a pianist and picturesque view of the Arabian Sea, this is a city institution for traditional Afternoon Tea featuring an elaborate buffet spread of classic English delicacies and Local Indian favourites complemented with a selection of the world’s finest teas and coffees. Moving south, we come to a tea boutique called Infiniteain Bangalore. 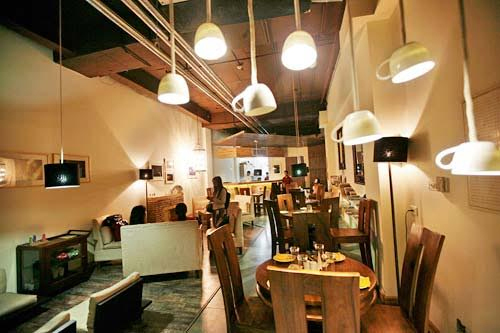 Set up in 2003 by GauravSaria, the owner of four tea estates in West Bengal, this is located in the upmarket Cunningham Road and boasts of an exhaustive menu of over 150 tea varieties from all around the world. A first of a kind tea room, it has a unique retail-restaurant concept which stresses on the ‘from leaf to the cup’ chain of thought. 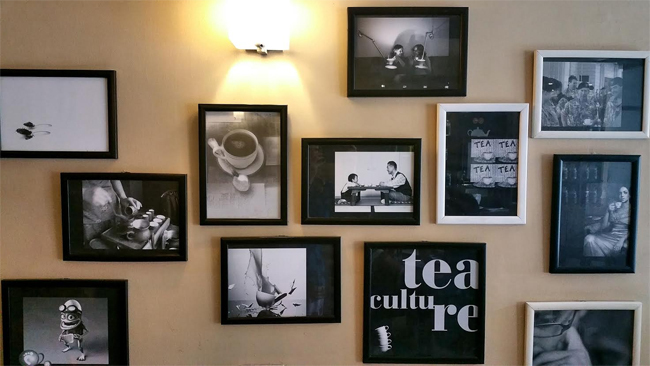 Split into a ground floor and a mezzanine floor, the ambience exudes warmth with a distinctive charm where ‘tea’ dominated even the décor as it is strewn with tea-related information, pictures and posters all around. Upon closer look, one can even spot a tea moment from Lewis Carroll’s ‘Alice in Wonderland’. Should a visit not be on your cards, you can find their online store a veritable treasure trove of teas along with their descriptions and brewing instructions. One worth sampling is form their latest arrivals and is the different-looking non-leafy Dan GuiBai He – a Chinese speciality tea handcrafted as blooming tea where the finest silver needles are formed into round tea blossoms with beautiful lily and osmanthusbound inside, which unfold in a colorful display after the tea is infused. A visual treat to go with the light, flowery aroma and taste!